LVIV, Ukraine — Ukrainian President Petro Poroshenko alleged Thursday that his two top rivals in a weekend election are backed by a self-exiled tycoon who wants to unseat Poroshenko as revenge for the nationalization of his bank. 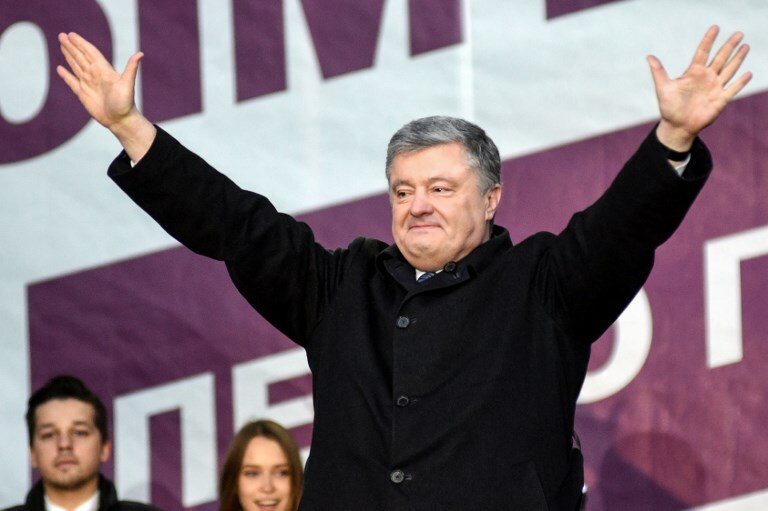 Poroshenko said at a rally in the western city of Lviv that billionaire businessman Ihor Kolomoyskyi is trying to prevent the incumbent’s re-election by supporting comedian Volodymyr Zelenskiy and former Prime Minister Yulia Tymoshenko in Sunday’s election. 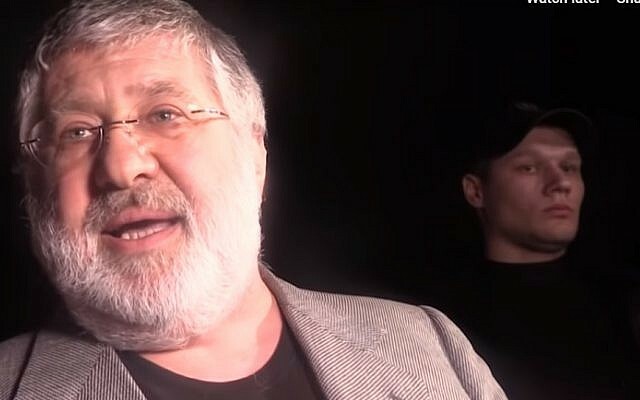 “He has fled abroad, but he simultaneously moves two figures on the election chessboard,” Poroshenko alleged of Kolomoyskyi, who lives in Israel. Poroshenko claimed the tycoon wants to “take revenge against the state” for the 2016 nationalization of his Privatbank. 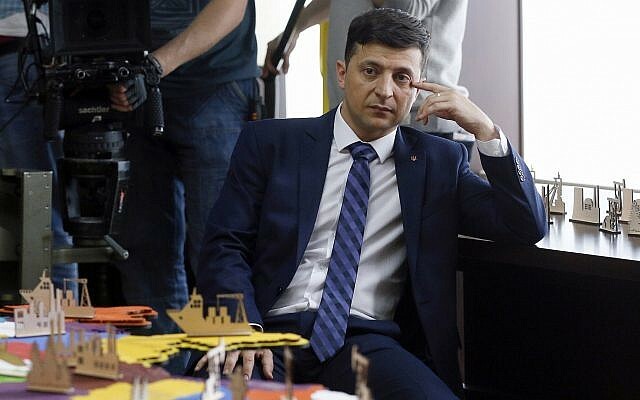 “There is not any big gap between Zelenskiy and me,” he said. 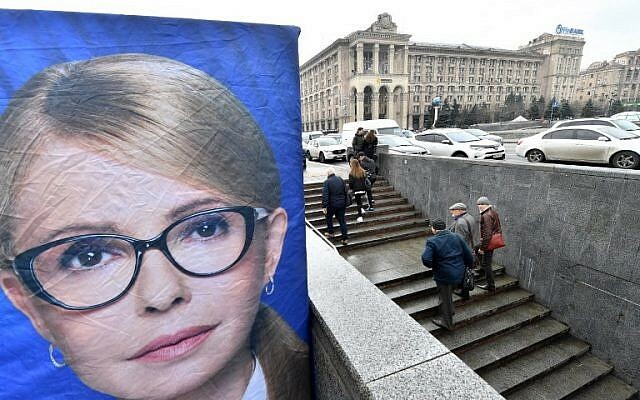 Poroshenko blamed Tymoshenko for Ukraine’s past economic woes, calling her “Madam Crisis” and alleged that Zelenskiy’s victory would benefit Russia. “He even jokes in Russian,” Poroshenko said. Russia annexed Ukraine’s Crimea in 2014 in a move that most nations see as illegal and also backed a separatist rebellion in eastern Ukraine. At Thursday’s rally, Poroshenko said Russian President Vladimir Putin wouldn’t succeed in his attempts to derail Ukraine’s effort to join the European Union and NATO. Ukraine’s ultra-right activists have shadowed Poroshenko as he campaigns across the country, accusing him of corruption and demanding the detention of associates who are accused of involvement in a military embezzlement scheme. Ultra-nationalists dogging the president on the campaign trail occasionally clashed with police, but the rally in Lviv went on peacefully. The ultra-nationalist groups have said they plan to monitor voting to prevent election violations. 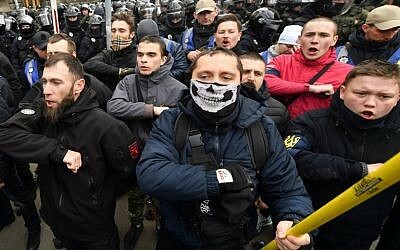 Their statement worried the ambassadors of the Group of Seven leading industrialized nations, who sent a letter to Ukraine’s Interior Ministry expressing concern about the increasingly assertive stance of right-wing activists ahead of the vote.